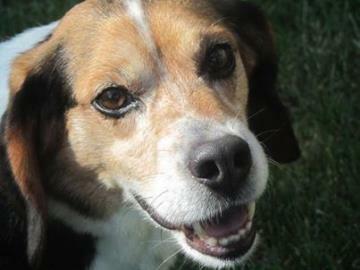 Stan is approximately 6 years old and resides in Nova Scotia, Canada. He is charming, eager to please and loves to hang out with other dogs. He is also good with children and would suit a family home. He spent most of his first six years in an outdoor pen so he is not house trained, but with patience and consistency he will be fully trained in no time (he is currently being potty trained while in foster). Although he is crate trained, he is quite the social butterfly and prefers to be next to his human. Stan has been neutered and has had all his shots. For more information on Stan, or other available dogs, please contact Atlantic Small Dog Rescue at info@asdrescue.com or visit their website here. This entry was posted in Dog of the Day, Nova Scotia, Pet Rescue and tagged adoption, animal adoption, animal rescue, dogs, halifax, HRM, nova scotia, rescue by Raquel. Bookmark the permalink.